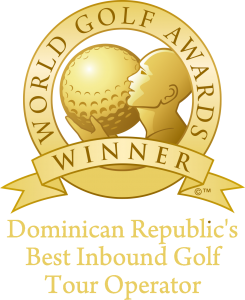 Caribbean Golf & Tours is your golf specialist located in Punta Cana, the Dominican Republic. We started our business when we realized there was a need for a service oriented company that catered to golfers searching for one company that could fulfill all of their needs. In 1987, my family decided to migrate to the Dominican Republic to open a Real Estate office, an extension to the already established business in Ontario, Canada. After realizing that the market was still not ready to be developed, my parents decided to change their careers and take on the Tourism industry. This is when my passion for customer service began to develop. During the summers between the ages of 13 – 16 I trained in everything from a Bellman to a bartender in several large hotel chains. By the age of 16 I became a fulltime employee and worked my way up the ladder until becoming an assistant manager of the Customer service department by the age of 18. During this time, I travelled to Santo Domingo where I met my today’s wife and accompanied her while she completed her University degree in Hotel administration. In 2009, after 4 years of working for a large international Tour Operator, we decided to take our future into our own hands and put our knowledge to the test. Our goal is to surpass your expectations but not your budget, so treat yourself to the service and quality you deserve. We look forward to seeing you in Sunny Punta Cana. The Caribbean Golf & Tours Team.